Watch your favorite movies, sports or even brush up on your French. Mizzou Cable TV is available in most campus buildings, residence halls and on-campus student apartments. 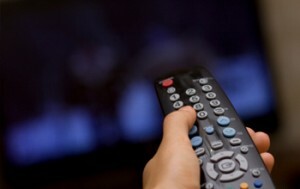 With more than 90 education, entertainment, news and foreign language channels, the world is as close as your remote! Mizzou Cable TV service is available in most campus buildings, residence halls and on-campus student apartments. We contract with MediaCom for all Mizzou Cable TV programming and offer more than 90 educational, entertainment, news and foreign language channels to departments and on-campus residence hall/apartment residents. Each residence hall room and on-campus student apartment has one active cable TV outlet. The cable TV fee is included in the residence hall room fee. Mizzou Cable TV is not available off-campus or in fraternities or sororities. Mizzou Cable TV fee is included in the room fee for MU residence hall and on-campus student housing. Mizzou Cable TV is also available to departments at a cost of $11.00 per outlet per month, payable by MoCode. Mizzou Cable TV is also available to MU Residential Hall students. You need a fully-integrated HDTV with a QAM tuner to watch Mizzou Cable. Remember, TVs may be labeled as digital-ready or HDTV-ready but if they do not have the QAM tuner, they will not work on Mizzou Cable. Students, remember to bring a coaxial cable to plug your set into the cable TV outlet. Do not bring a digital converter box; it will not work! Departments can go to doitservices.missouri.edu to request new and change or cancel existing Cable TV service. Login to the self-service portal with your University user id and password, select Service Catalog, and search for Cable TV. Residence hall and on-campus housing students have one active cable TV outlet per room; no request is necessary. Instructional and special event videos may be televised for departments as long as copyright guidelines are met.